This is one of the most heart breaking articles I've read in a while. One of the most unique rainforests in the world has 20 days left before Cameroon government starts selling off pieces to logging companies. Cameroon is home to Forest Elephants, Western Lowland gorillas, chimpanzees, mandrills, and many other species of endangered and threatened animals. 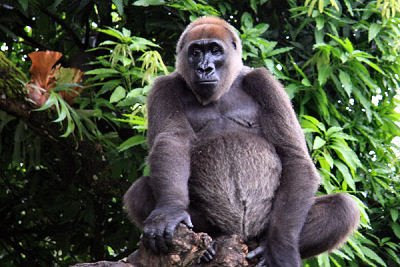 The most endangered subspecies of gorilla - the cross river gorilla - also lives in Cameroon. Cameroon was next on my list to volunteer with endangered wildlife. Perhaps the crappiest part of this article is I have no idea how I can help. Or how to tell others to help. There doesn't seem to be anywhere that is collecting donations. Wildlife Works is the company that has been given a chance to save it through some sort of Carbon Credit deal, but I can't find a single thing about the project on their website. Below are the links for two rehabilitation centers I know of in Cameroon.